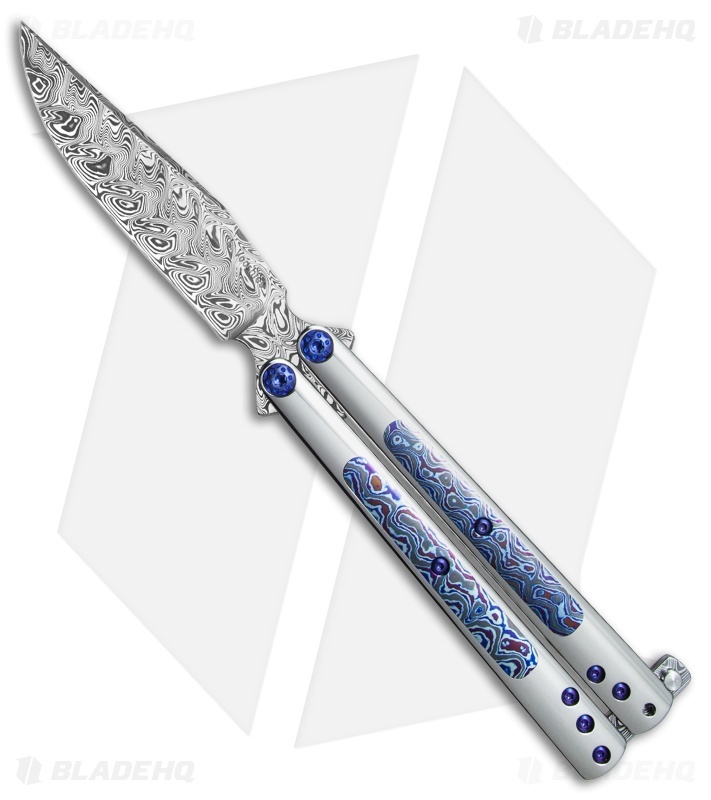 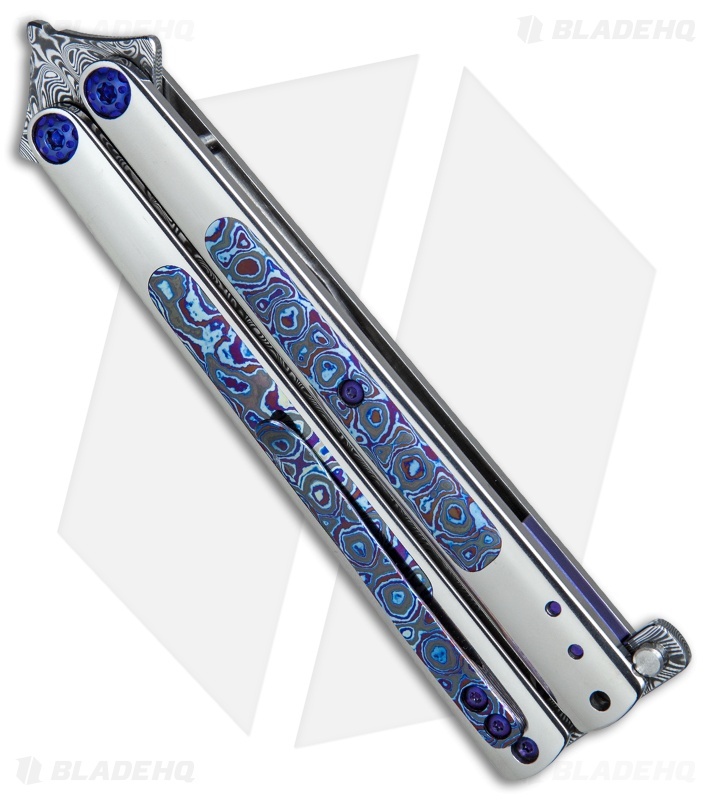 This Les Voorhies custom Model 2 balisong features polished titanium handles with eye-catching Timascus inlays. 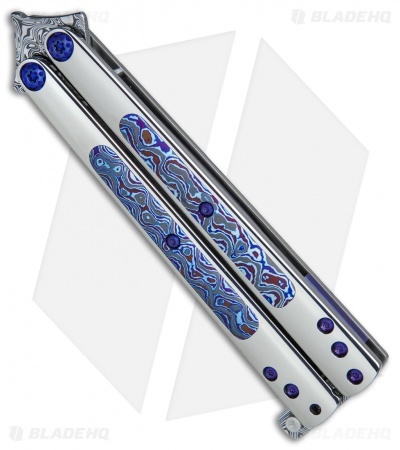 Its clip point blade and latch are made from beautifully patterned Damasteel. 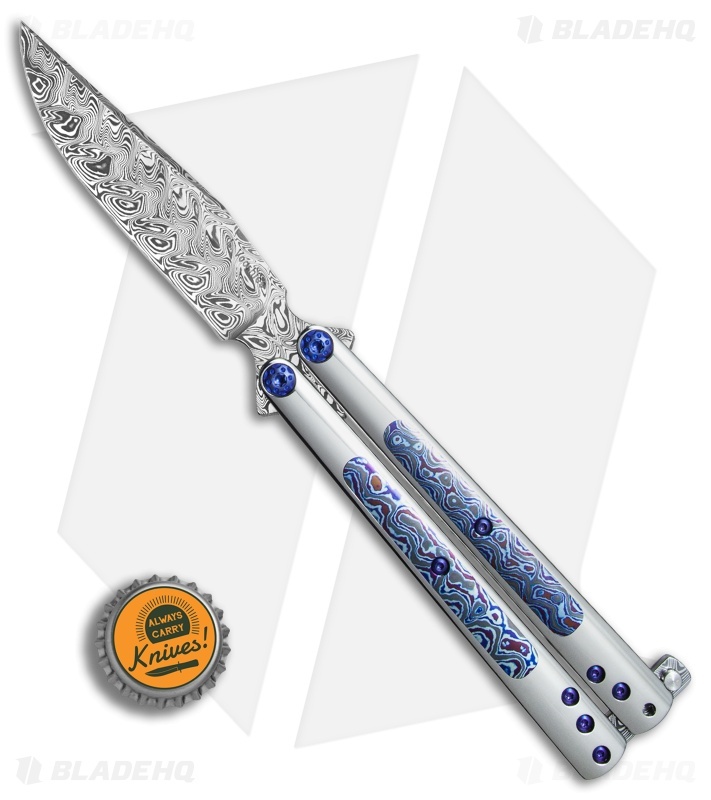 IKBS bearing pivots provide superb flipping action that is second to none. The knife comes outfitted with blue anodized titanium hardware and spacers alongside a slender Timascus pocket clip.